Mahmood Sariolghalam is Professor of International Relations at the National University of Iran in Tehran (Shahid Beheshti). He earned his PhD and MA in international relations at the University of Southern California in 1987 and 1982 respectively. He also completed his bachelor's degree in political science at the California State University. Professor Sariolghalam pursued a post doctorate at the Ohio State University. He specializes in international politics of the Middle East, Iranian foreign policy and political culture, and has written extensively in Farsi, Arabic and English. He has made 546 presentations in 114 countries over the last 26 years. His recent publications are Sources of Continuity In Iran's Foreign Policy, in Gulf Politics and Economics in a Changing World edited by Michael Hudson and Mimi Kirk (World Scientific Publishing Co., 2014); Rationality and Iran's National Development, 2014, Thirteenth edition; Iranian Authoritarianism During the Qajar Period (Farsi), 2014, Seventh edition; Transition in the Middle East: New Arab Realities and Iran, Middle East Policy, spring 2013; The Evolution of State in Iran: A Political Culture Perspective, published by the Strategic Studies Center of Kuwait University, 2010; Iran's Political Culture, a field research in Farsi based on 900 questionnaires, Seventh edition, 2010; International Relations in Iran: Achievements and Limitations, in International Relations Scholarship Around the World edited by Arlene Tickner and Ole Waever (Routledge, 2009) and Iran in Search of Itself, in Current History, December 2008. Professor Sariolghalam spent the 2009-2010 academic year at Kuwait University. 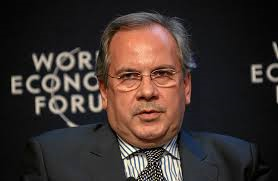 He is a member of International Studies Association (US), Global Agenda Council of the World Economic Forum (Switzerland) and a Non-Resident Scholar at ASERI (Italy). Professor Sariolghalam was a Visiting Fellow at the Brookings Institution in Washington DC in early 2012.